Below is a list of the top best alcohol & drug rehab centers in Antioch, California. They are primarily hospital-based programs. 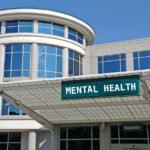 The best California drug rehab centers listed here are facilities that offer detoxification and Intensive Outpatient Programs ( IOP). They accept all forms of payment as well as private insurance. Most do some form of medical detox. In general, they offer some other level of care, such as Intensive Outpatient (IOP) and /or Partial Hospitalization Programs (PHP). Their staff is very helpful and knowledgeable. If you need help finding a residential program, call us and we can assist you. California drug and alcohol rehab treatment centers take a more holistic approach to treating addiction and alcoholism. Some use Eastern techniques such as yoga and meditation. These foster mindfulness, a useful tool in treating substance abuse. With over 850 programs, this state leads the country in the number of facilities available to treat addiction. There are over 300 residential inpatient centers, and over 500 Intensive Outpatient Programs (IOPs). California has many specialty type programs for women only, men only, adolescents, Spanish speaking, sober living as well as faith-based. Kaiser Permanante has several outlets for insurance clients. The majority of facilities are located in and around the largest city of Los Angeles. San Francisco and the San Diego metro area.